The Cox’n is the Coach in the boat. At camp, the coxswains are guided by our designated Coxswain Coach. 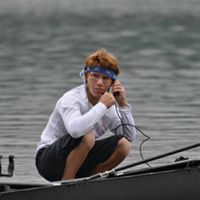 Each coxswain is assigned to a crew. They participate in daily on-land clinics, where they learn about the following topics. Coxing is a complex job! The coxswains put everything together on the water with their crew. There, they have the opportunity to work directly with two expert collegiate rowing coaches throughout the week. The week ends with an intra-camp scrimmage. Our coaches all live on site. *Coxswain Special: Recommended when all of our cox’n seats are full. Participate in the full program. Ride with coaches on the water and see practice from their point of view.